There are many Carpet Styles and our trained professionals can help you determine the best outcome for your lifestyle. Most carpets are made from nylon or polyester. Styles can be solid, plush, texture, tonal, twist, accents, Berber, and cut and loop pattern. What makes us unique with above average, Higher Standards than our competitors? 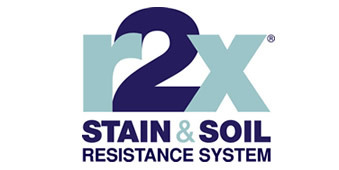 Over the last 30 years we have created an installation process that has had great success and is the standard for all our carpet installations. We use 6 inch seam tape on all seams, verses the commonly used 3 inch that many of our competitors use. This provides stability, longevity, and reduces seam peaking or weakening. We also, unlike most of our competitors, use two rows of tack strip verses the standard minimal of one row. 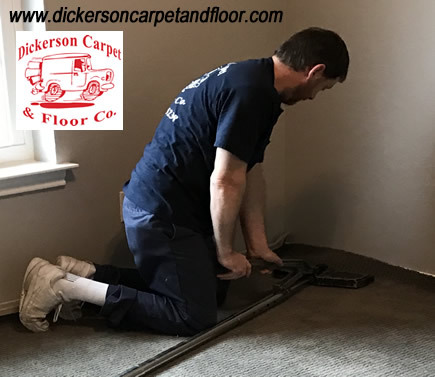 A mechanical or power stretcher along with the two rows of tack strip allows use to stretch the carpet as tight as possible. This means carpet is most likely to stay stretched over the life of the carpet. You may ask, So what does this mean for our customers? 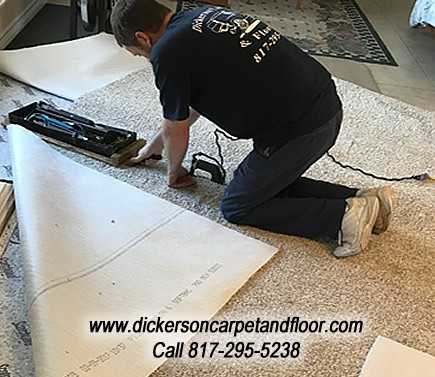 Carpet installed with the Dickerson Carpet installation process provides the best carpet outcome. It is true there are differant grades of carpet but no matter what carpet you choose, the carpet installation is the true factor for durability. The Best Installation offers the Best Outcome. Why our Installation is Excellent and Better than most.